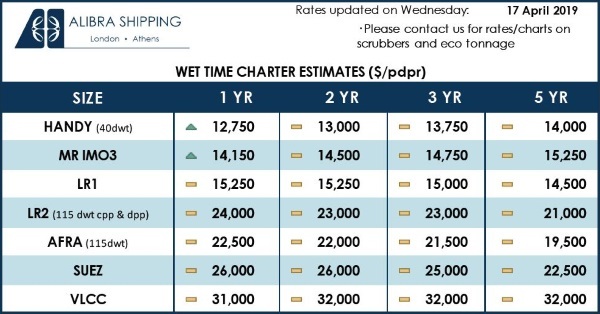 Ship owners are not committing funds for the long-term so far in 2019, which means that, instead of newbuilding orders, they ‘re opting for second hand vessels. In its latest weekly report, shipbroker Allied Shipbroking noted that it was “a very disappointing week for the newbuilding market, which apparently went into a state of total clampdown for the time being. With just a single order being reported and this coming from the wet sector, there isn’t much to be remarked in respect to this past week’s activity. 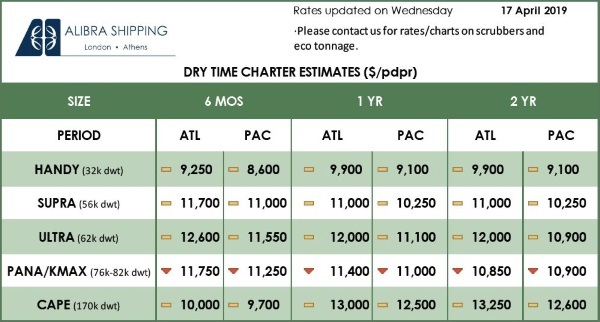 With the dry bulk freight market being in a state of free fall as of late, and the BDI having reached levels below the 1,000 basis point mark, there isn’t a need for much speculation to be hand in terms of what sort of new ordering activity we will see in this sector. 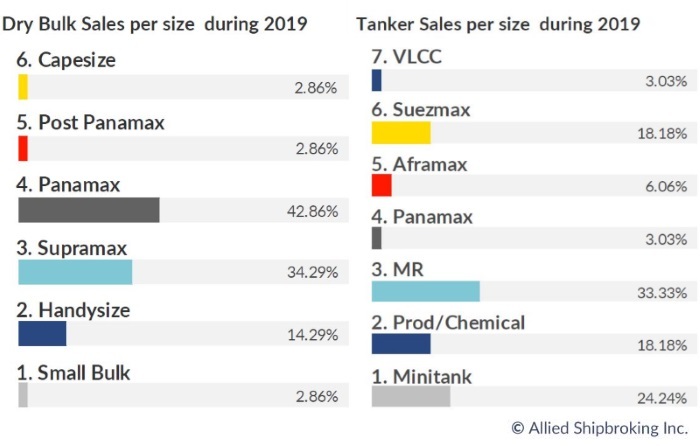 It is yet to be seen, if better sentiment and the overall upward trends of the tanker sector (from the side of earnings at least), will be enough for fresh interest to emerge for new orders amongst owners at this point. All-in-all, despite the overall turmoil, we can anticipate a sort of recovery to slowly take shape come early spring, with a high possibility of periodical ups and downs to be noted in-between”, the shipbroker said. 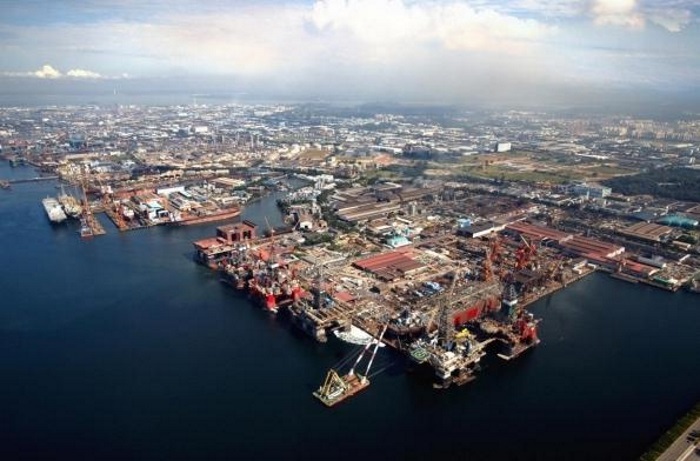 In a separate weekly note, shipbroker Clarkson Platou Hellas also said that it was “a quiet week in the newbuilding market, with just a few orders for some passenger carriers announced. Rauma Marine Constructions, Finland have announced they will build an 800 passenger, 1,500 Lane Metre car and passenger ferry. This Ice 1A ferry will operate a dual fuel engine able to burn LNG or Biogas and will deliver in 2021. Meanwhile, Incat Tasmania has won an order from NIDCO (National Infrastructure Development Company, Trinidad and Tobago) for a high-speed ro-pax. The vessel, capable of carrying 1000 passengers and up to 239 cars, will deliver within 2020”. Meanwhile, in the S&P market this week, according to the latest note from shipbroker Banchero Costa, “in the dry sector, two vintage Panamax were reported sold, Reborn around 74,000 dwt built 1999 Tsuneishi was sold for around $6.4 Mln to far eastern buyers and Minoan Flame around 74,000 dwt, built 1998 Tsuneishi was done at $6,25 Mln, in November 2018 Genco Knight and Valour both around 73,000 dwt , built 1999 Oshima were reported sold at $6.7 mln each. In the Supra and Handy segments, a Hong Kong controlled Supramax Sea Confidence around 52,000 dwt, built 2005 Oshima was sold at $9 mln. Greek buyers were reported to be behind the purchase of Ocean Neptune around 37,000 dwt, built 2012 Hyundai Mipo at $12.6 mln. In the tanker sector, 3 Norwegian controlled Aframax Telleviken, Toftviken and Troviken around 115,000 dwt, built 2005 Samsung were sold en bloc at $48 mln with TC attached. In the product market the LR2 Phoenix Dream around 105,000 dwt , built 2005 Hyundai Ulsan (coated, uncoiled) which was rumoured to have received offers in the region of $12.5/14 mln and she is now reported sold at $14.5 mln. A more vintage LR2 Maersk Prosper around 110,000 dwt, built 2001 Dalian was reported sold at $10.6 mln by Far Eastern buyers. In the MR sector, Torm Amazon around 47,000 dwt, built 2002 Onomichi was reported at $8.3 mln; in December 2018 Ardmore Seatrader around 47,000 dwt, built 2002 Onomichi was sold at $8,2 mln”. 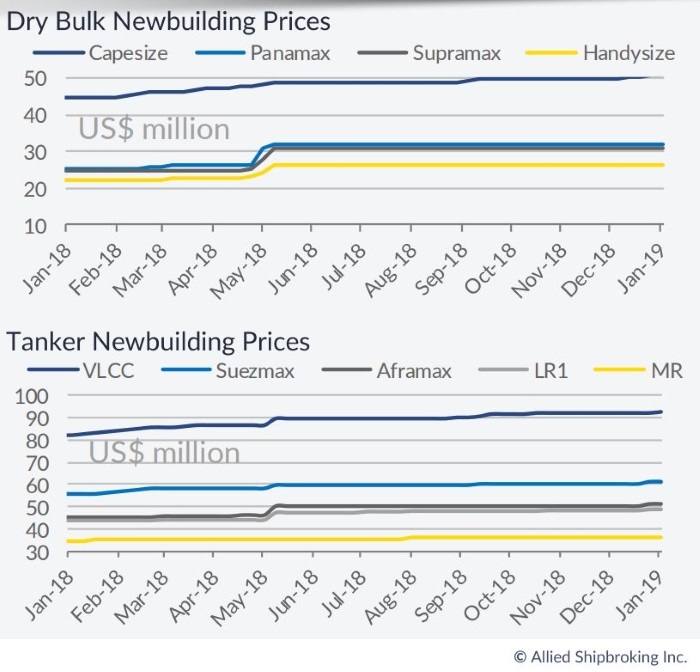 Similarly, Allied added that “on the dry bulk side, a modest flow of transactions was noted these past few days, which is remarkable when taking into account the downward spiral the freight market is currently in. 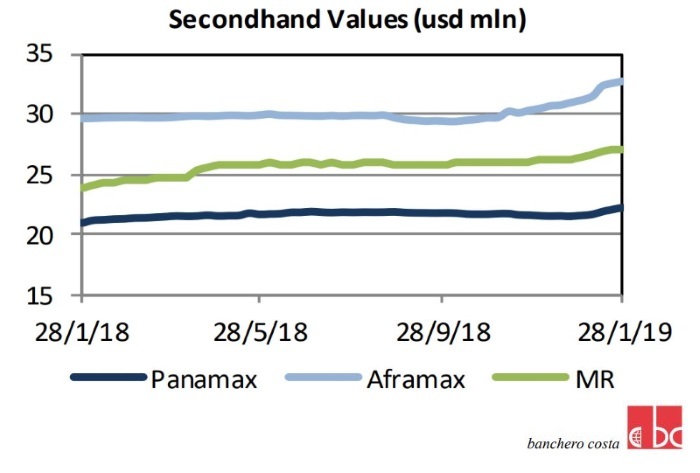 At this point, we can see a shift towards the Panamax segment, with interest mostly for vintage units, given the increased number of candidates circulated in the market. All-in-all, with the scene from the side of earnings being rather disappointing for most, it will likely take some time before a more stable picture starts to prevail, both in terms of volume and price levels. On the tanker side, things continue to be rather sluggish, with just a handful of transactions coming to light as of late. The only spark in activity seem to have been in the MR segment, where the buying spree that started off back in late 2018 continues to progress, giving an ever more aggressive appetite and approach for this size”.